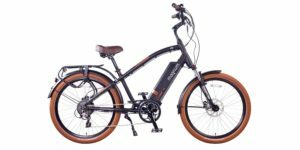 Adjustable Locking, Sealed Bearings, Threaded Straight 1"
The Gazelle NL C8 HMB is a cruiser style, mid-sized utility electric bike, that has been refined in several key ways for 2018. The older C7 offered a 7-speed internally geared hub vs. an 8-speeds now, and you can see that reflected in the C8 name. It shipped with an efficient Bosch Active Line mid-motor vs. the Performance Line Cruise mid-motor here, the difference being ~15 newton meters of torque increase. And, it had a lower capacity Bosch PowerPack 400 vs. the 500 here, offering roughly 25% more energy to extend rides and provide a zippier ride feel. 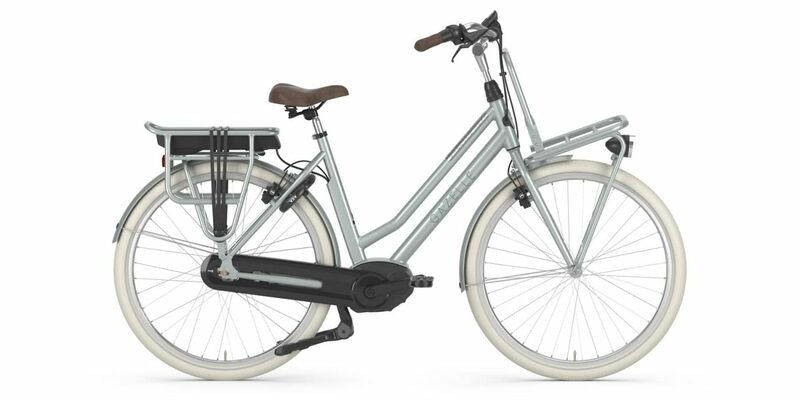 This is a beautiful looking, feature-complete, urban utility bike that is easy to approach and comfortable to ride. The double tube step-thru frame design provides a lower stand over height, it’s available in three sizes (possibly four in Europe) for optimal fit, and the stem can tilt to raise or optimize handlebar position. 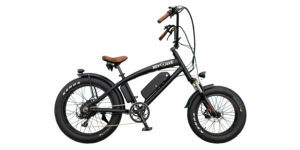 Even though this ebike does not ship with a suspension for, it provides a comfortable and stable ride. 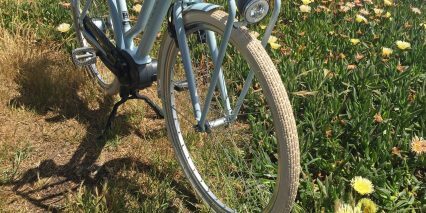 Gazelle chose wider rims with reinforcement eyelets that can handle heavier loads and bumpier streets, even packed dirt and gravel. Wider 28″ x 2″ CST Metropolitan Palmbay tires provide stability and dampen vibration when used at lower pressure (they are rated 30 to 65 PSI). These tires also have level 1 puncture protection and reflective sidewall stripes to keep you safe. With five beautiful colors to choose from, two of them lighter, and integrated LED lights that run off of the main battery pack… it’s a platform that’s capable year-round as the seasons and day/night cycles change. 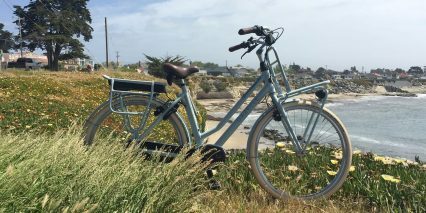 Electric bicycles like this are versatile because they could serve as a commuting platform, casual neighborhood ride, or family wagon. 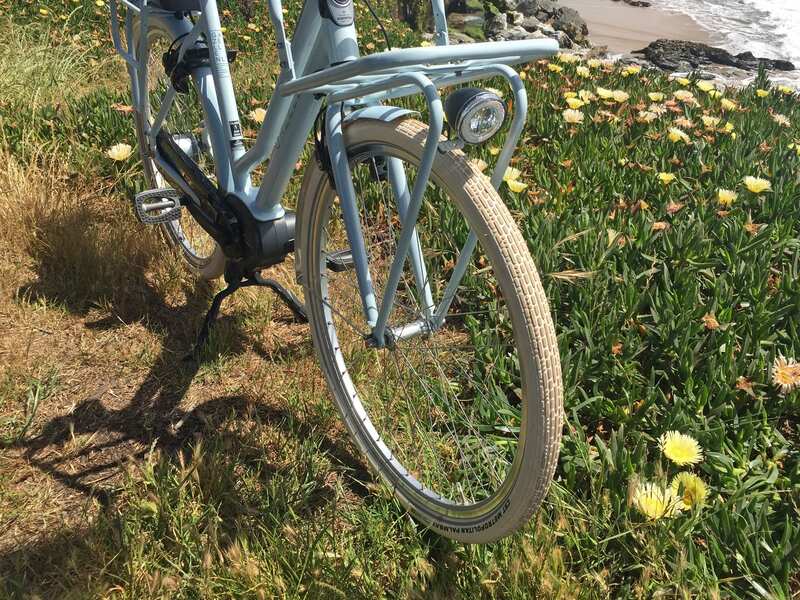 The sprung saddle and matching ergonomic grips allow you to ride longer without fatigue and the premium composite fenders and enclosed chain cover will keep you clean and dry all the way. They are also very quiet and sturdy compared to many others I have tested. Not everything is perfect here, there are some trade-offs to be considered in the name of functionality. The NL model, which stands for Netherlands, is one of Gazelle’s heaviest electric bikes, weighing roughly 62.8 lbs (28.4 kg) because of the large racks, more powerful motor, built-in cafe lock, and internally geared hub. The company has enabled walk-mode for all 2018+ models, and that’s a welcome feature in those moments when you’re walking through a park or pushing up a ramp, especially if you’ve got a child seat on the back and some groceries or books on the front. 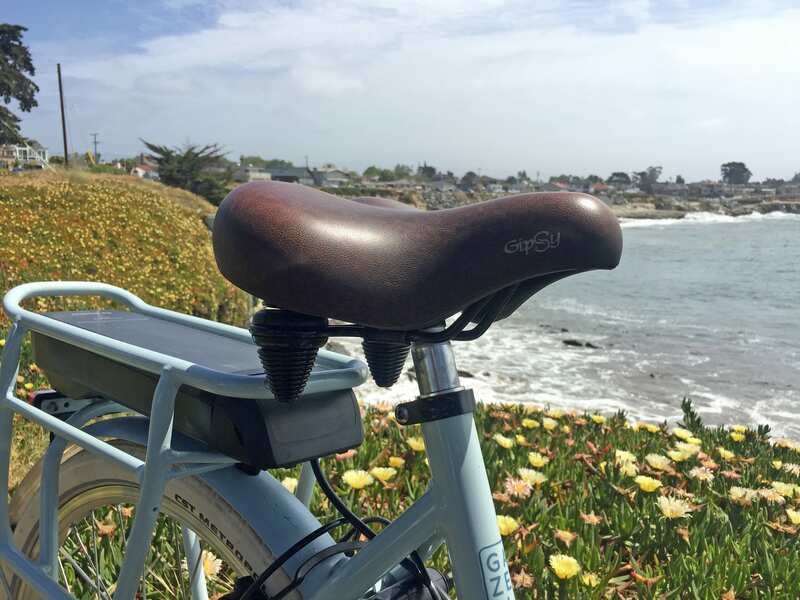 And yes, the Yepp Nexxt child seat is compatible with this rear rack! 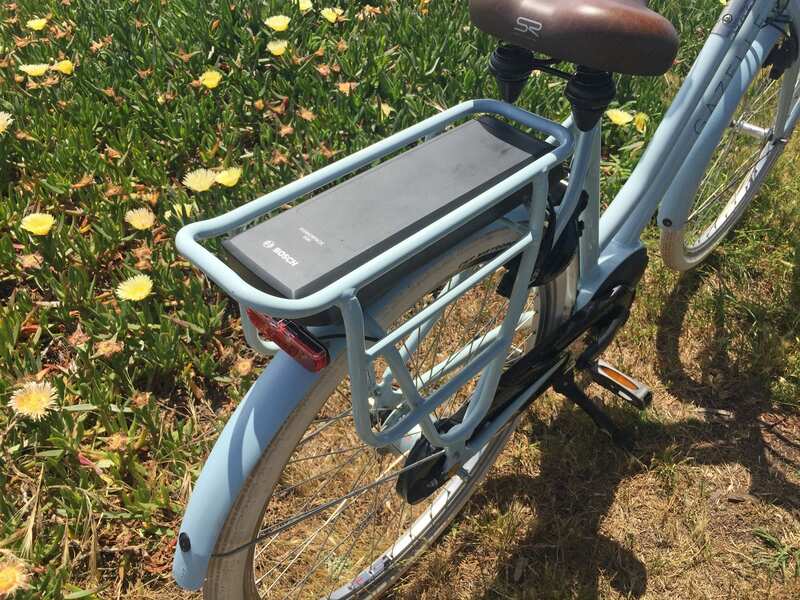 Older Yepp models required a rectangular window to sit down into, and that was not compatible with many rear-rack battery ebikes. The new one clamps on from the sides. 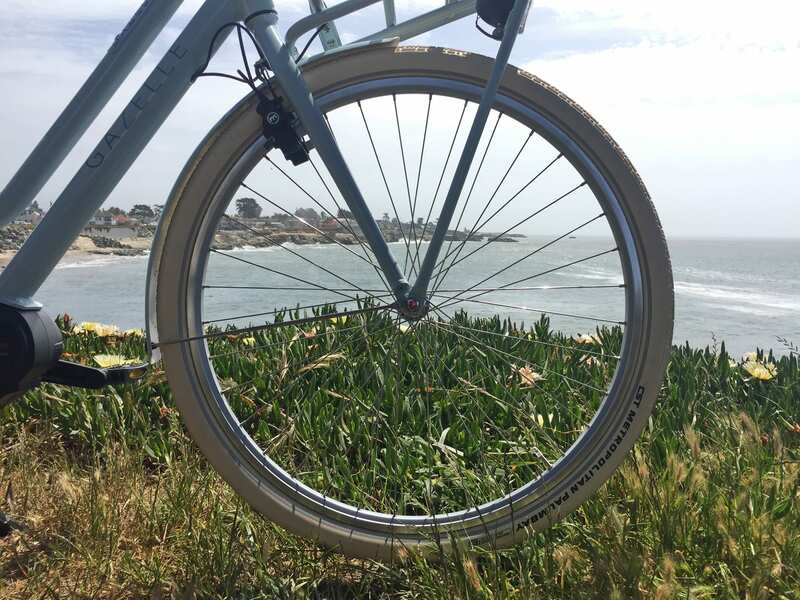 The rar-rack tubing is slightly thicker than most standard bicycle racks I have seen, and may not work with all clip-on panniers. 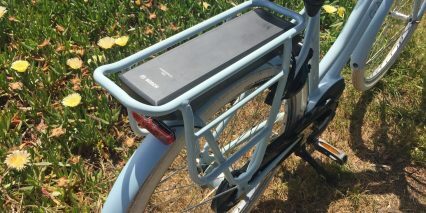 The kickstand is great for loading both racks, because it stabilizes the bike perfectly centered if the ground is flat… but it also hangs down a bit when riding, and could scrape obstacles like curbs if you get too close. 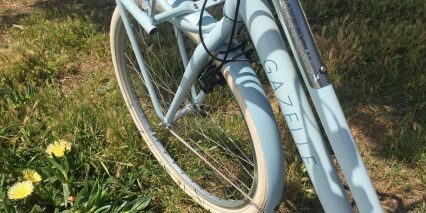 Gazelle specs a locking headset that secures the font of the bike, keeping it straight for easy loading. 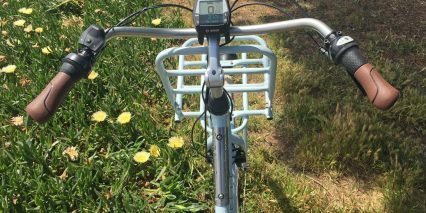 Note that the front rack is attached to the fork and does turn with you, as you steer the bike. When fully loaded, up to 22 lbs (10 kg) the rack may impact steering a bit. Driving the Gazelle NL C8 is a Bosch Performance Line Cruise mid-motor rated from 250 to 570 watts with peak torque output of 63 Newton meters. 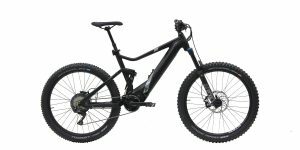 The torque rating is important because it allows you to start quickly, climb effectively, and transport heavier loads in combination with the 8-speed internally geared hub. The bike feels zippy and allows you to shift smoothly with motor controller shift detection, so you won’t put as much pressure on the drivetrain. I mentioned the additional gear for 2018 and how clean the chain cover is, but I want to expand on those benefits by adding how durable the Shimano Nexus Inter8 has been, that it allows shifting at standstill, and that you probably won’t ever drop the chain because there’s no derailleur and extra sprockets in use… just a single rear cog and a single front chainring. The only downside is weight and slightly slower shifting response. The chainring here is a 15 tooth (38 tooth equivalent) design which spins 2.5 revolutions for every single crank arm revolution. This gear reduction requires an internal gearbox that adds some weight and noise. 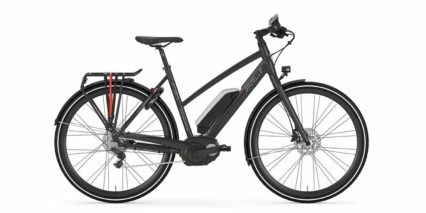 The motor weighs roughly 8.8lbs vs. 6.3lbs to 7.1lbs on newer Bosch Active Line motors (the lower powered, more compact offering from Bosch). Note that the Active Line motor used on the 2017 Gazelle NL probably weighed closer to 8 lbs because it was a first generation design. 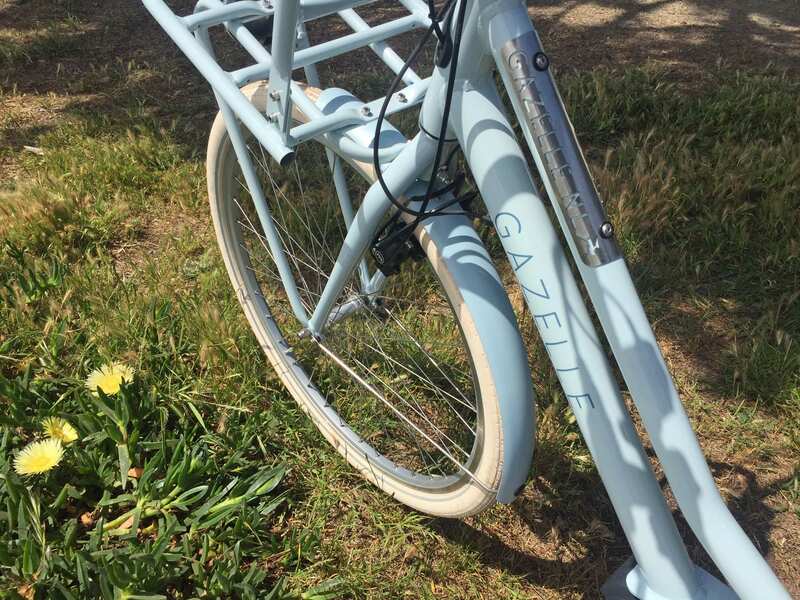 Anyway, Gazelle has added a fully-enclosed plastic chain cover to keep your pant legs and dress ends clean. In my own experience, the Bosch Performance Line motors are able to start and stop extremely quickly, making them intuitive, confidence-inspiring, and satisfying to ride. I love that this particular motor series can assist up to 120 pedal strokes per minute because I tend to enjoy spinning and revving to reach high speeds vs. shifting down and lumbering along. 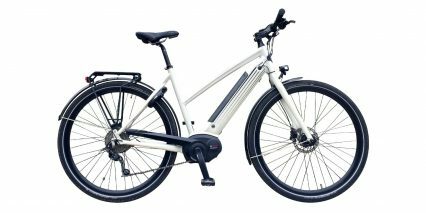 Frankly, you can ride however you’d like with this electric bicycle and the motor will be there to support you in a reliable way. 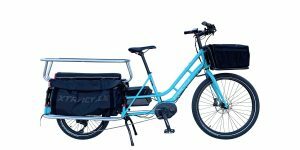 It may be overkill for some neighborhood environments, with limited hills and fairly smooth terrain, but it’s definitely fun and capable for moving kids and cargo. 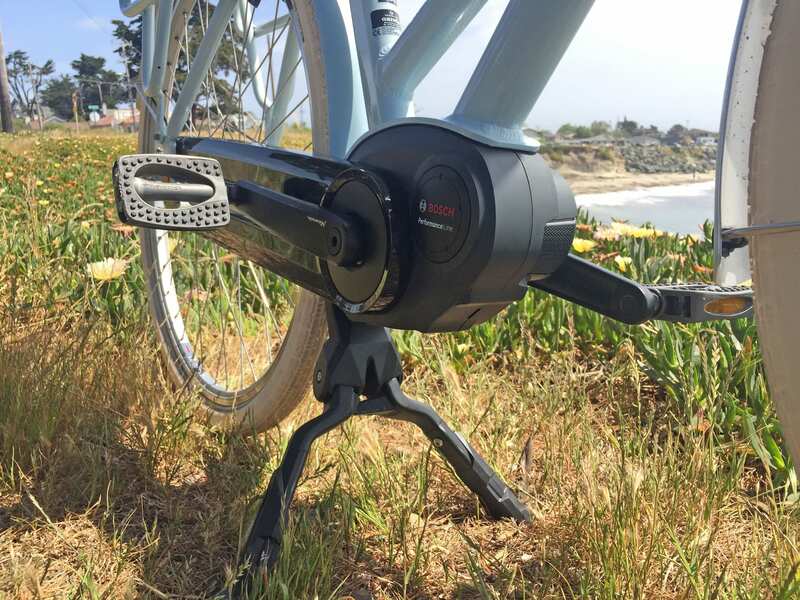 The Bosch motor controller measures rear wheel speed, pedal cadence, and pedal torque over 1,000 times per second and that translates to near-instant starts and stops. The bike feels smooth and fast, the components are attached well and don’t make a lot of noise (aside from the fenders, cafe lock, and kickstand bouncing a bit) but the motor does produce a noticeable whine at the higher RPMs when riding in the upper levels of assist. I tried to demonstrate this in the video review by mounting the camera to the frame later on, in the ride test. 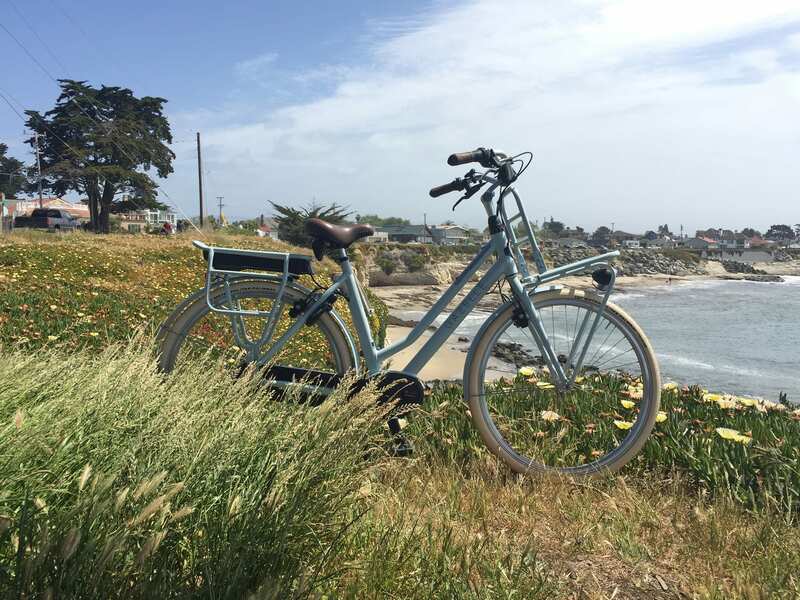 There wasn’t a whole lot of traffic in Santa Cruz, California, where I filmed this review, but it was pretty windy out. 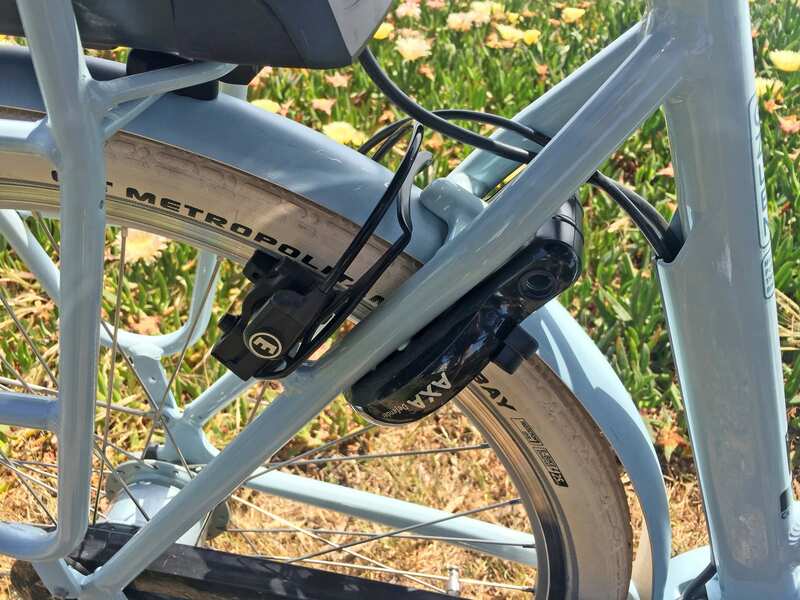 The motor noise might not have been quite as pronounced as it has been when reviewing other bikes with the same drive unit in quiet wind-free neighborhoods. 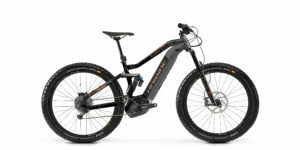 On some ebikes, mostly mountain models, the whine is masked by knobby tires and the sounds of gravel and organic material along the trail, but you really hear it on smooth pavement and that might annoy some people. It’s one of the trade-offs when moving from the Active Line series to the Performance Line. Another trade-off to consider is a slight increase in pedal drag when riding unassisted. 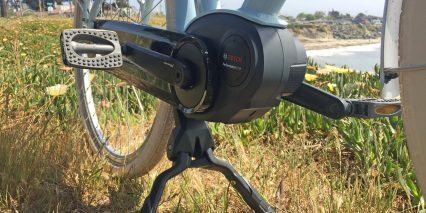 If the motor is off or if you’re pedaling beyond the maximum supported speed of 20mph (35km/h), the reduction gearing adds some friction. Once the battery is charged and locked to the frame, simply press the power button on the Bosch Intuvia display panel. This is one of my alltime favorite control / display systems because it’s so large and easy to see, feature rich but not confusing, reliable to click and intuitive even without looking down, and completely removable for reduced wear. Yes, the display itself is a bit larger, but I appreciate the size because my eyesight isn’t perfect. The screen is backlit with a faint blue glow that cannot be disabled, but can be lowered by entering into the settings menu. The main readouts are current speed, battery capacity (five bars), and current assist level (off, eco, tour, sport, turbo). 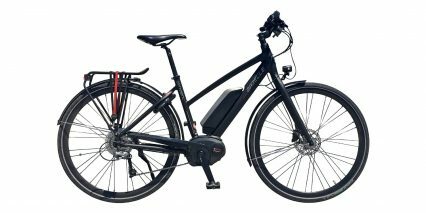 The highest level of assist is required to get you close to 20mph, and you are required to shift gears in order to pedal up to that speed, but with the increased speed comes higher power use and increased noise. Most of my time is spent in Tour mode to balance efficiency with support. To change assist levels, just press the + or – keys on the control pad, located within reach of the left grip. The center button has an i on it, which is replicated on the right side of the display system. This i button will cycle through trip stats such as average speed, max speed, clock, and range. Range is a cool menu because it dynamically adjusts as you ride and change assist levels. It’s a great way to gauge how far you can ride in each mode and is much more precise than the battery infographic with 20% steps. I want to point out that this display can swivel to reduce glare, can be removed to prevent theft and scratches, has a Micro-USB charging port on the right side, and can be switched out for the smaller Bosch Purion if you prefer to mount a phone or some other device at the middle of the handlebar. You will have to pay a shop to get you the part and perform this service, and it’s something I would never do because the Intuvia is so great, but it’s still an option. that’s what you get with Bosch systems… more options and easy replacement if necessary. There’s even a dedicated light button on the right side of the Intuvia display. 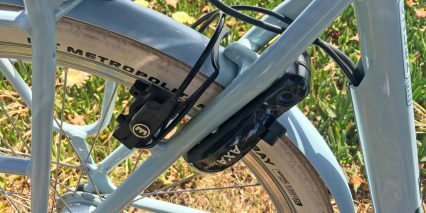 This makes activating and de-activating the lights a lot easier than some competing ebike systems that have secret button combinations because they lack additional dedicated buttons. 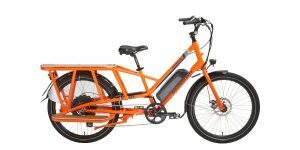 It’s worth noting that walk mode does seem to be enabled on this ebike, and that Gazelle said they are bringing it to all 2018+ models. You do have to be in one of the four assist levels to use it. Just arrow up from off and then click the walk mode button on the top edge of the button pad near the left grip, then hold the plus button constantly to get the motor going. 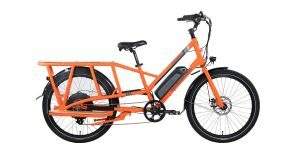 This is an easier way to move the 62+ lb ebike in non-rideable environments. 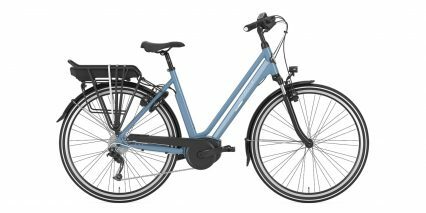 It seems like nearly every aspect of the Gazelle NL has improved since I first reviewed it in 2017, and yet, the price remains the same. 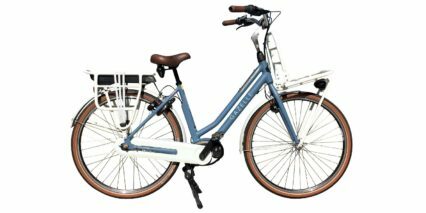 For roughly three-thousand dollars USD, you get a lot of value and utility from this electric bicycle, and it also looks beautiful! The paint-matched racks don’t stand out as much as when they were silver. The black motor casing blends nicely with the black chain cover and the black battery box is fairly compact but would be completely obscured from view with the addition of pannier bags like the Urban Double models from Basil that hang over the top of the rear rack. For people who seek the reliability of Bosch drive systems, the European styling and rich heritage of a brand like Gazelle, that has been operating since 1892, and the utility of a cargo electric bike without the long footprint, the NL C8 would be an excellent option. 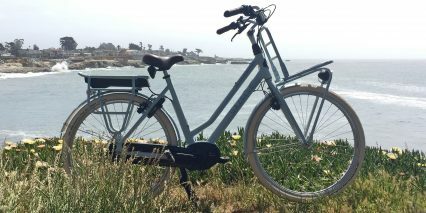 There are other models to explore in this category, including the Faraday Porteur and Cortland, which offer a frame-mounted front rack that does not turn, but they utilize weaker hub motors at this time. And, by the way! Faraday is owned by the Pon Group, which also owns Gazelle… so you might see their products being sold through the same network of shops. 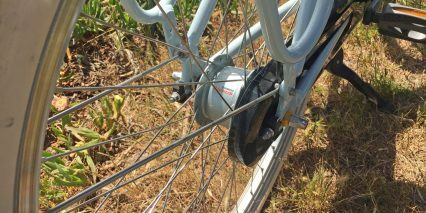 Final thoughts: the rim brakes are powerful and I love the tool-free adjustable brake levers that even smaller and weaker hands can operate confidently. 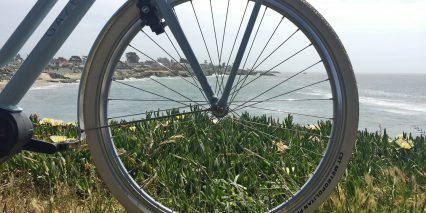 Rim brakes tend to be less prone to bumps and bends at crowded bike racks. 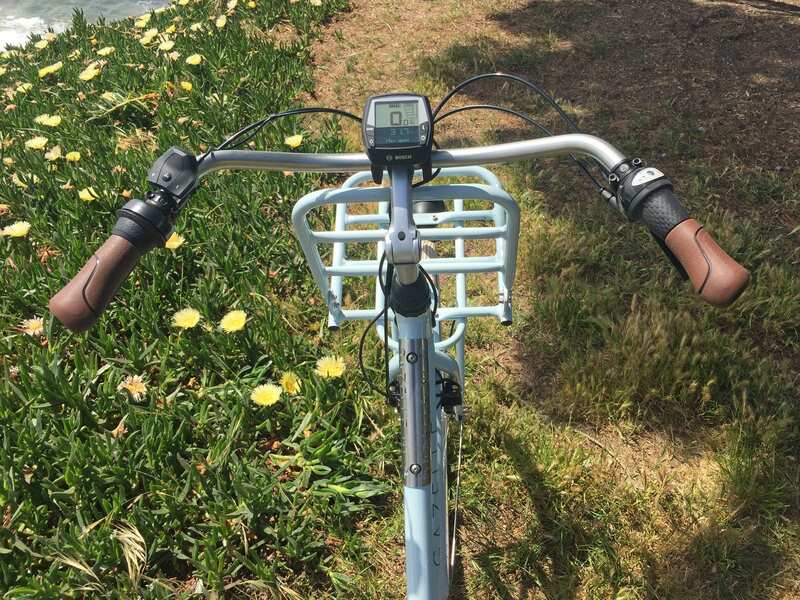 I really like the half-grip twist shifter on the right and half-grip twist bell on the left because they keep the handlebars clean are easy to understand and use without compromising hand positioning and grip. 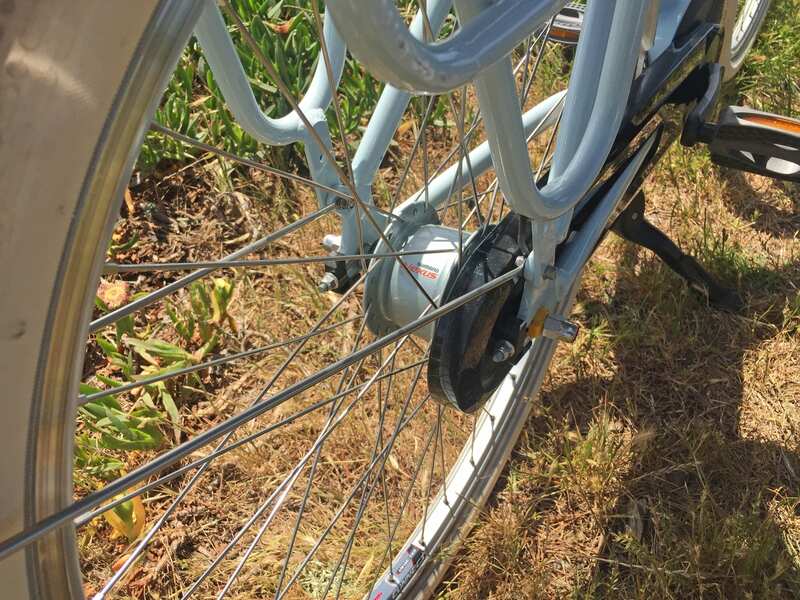 The rear fender connects in multiple places and there’s actually a metal bar beneath that supports the rack too, which is how they were able to scoot the rack back and make it appear freestanding. Please note that the review model utilized a steel fork and handlbar which could have increased the weight slightly. 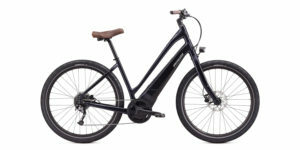 I was told that the production versions of this e-bike will be made completely with aluminum alloy. 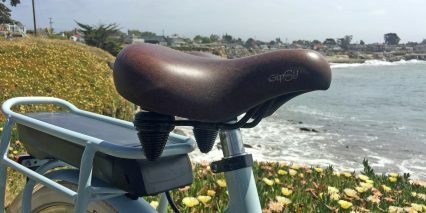 Big thanks to the Gazelle team, especially Ewoud, for partnering with me on this review and hosting me in Santa Cruz. It was neat to see their offices, learn about the history, and do some review rides back to back. 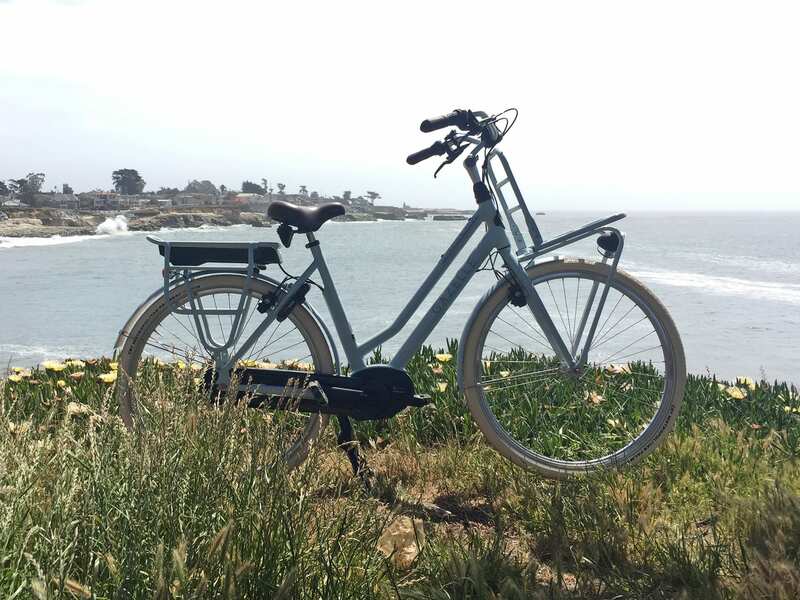 I’ll answer questions and take feedback in the comments below and you can connect with other Gazelle owners and share more about your ride in the Gazelle electric bike forums.